Except for "the kettle's whisper," mornings are for quietness, waking up slow, easing into the day. It sounds a little dreamy, doesn't it? I know my mornings aren't always this tranquil, but come Saturday or Sunday, it's easier to enjoy spending time in the kitchen just after the sun comes up. And I'd better get to sharing this poem before we get too far into the warmer weather. Isn't it just perfect? Instead of giving a lengthy commentary, I think the poem speaks for itself in a hushed voice, capturing the heart's quiet places. 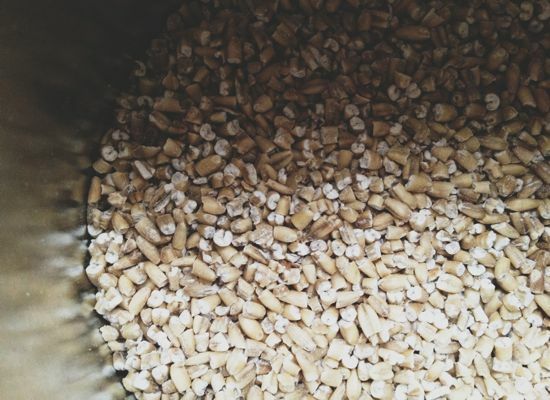 While reading this poem over and over, you might enjoy a warm bowl of steel cut oats. 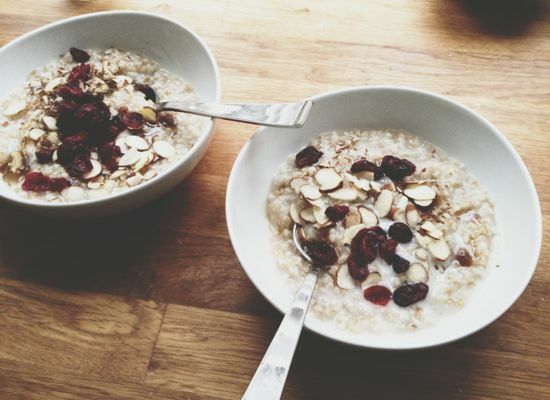 Perfect for morning nourishment, the key, though, is starting the oats before you snuggle up in bed for the night. Then when you wake up, you'll have more time to enjoy the early hours instead of scrambling to decide what to make for breakfast. Breakfast wasn't always this thoughtful. I relied on processed cereal for years, and have finally started the process of eliminating it from my diet. I've replaced my Cheerios with smoothies, whole grain pancakes, and oatmeal, and I'm finding it wasn't as difficult as I thought it would be. I also feel better. I'm full until lunch (instead of my stomach eating itself around 11 am), and feel more energized mid-morning. So there is something to be said about breakfast being the most important meal, because it sets the tone for your hunger, and your relationship to food, throughout the day. 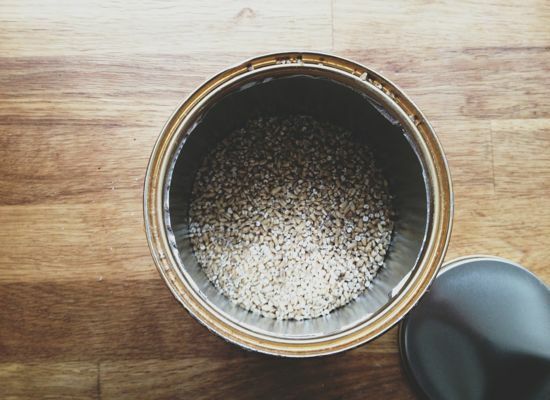 Add oats and water to a 2-quart saucepan. Bring to a boil, and let simmer 1 minute. Cover and leave on the stove. In the morning, bring the oats to a low boil again and cook for 5-10 minutes, or until any of the remaining liquid has been absorbed and the oats are creamy and tender. Serve with your favorite toppings.